This week’s photo challenge was to take pictures today. No pulling photos from the archives. Here is my “today” in photos. 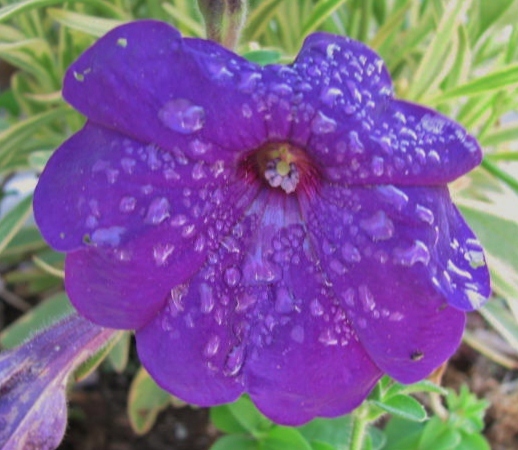 There was a lot of dew on the petunias. And one tiny bug. 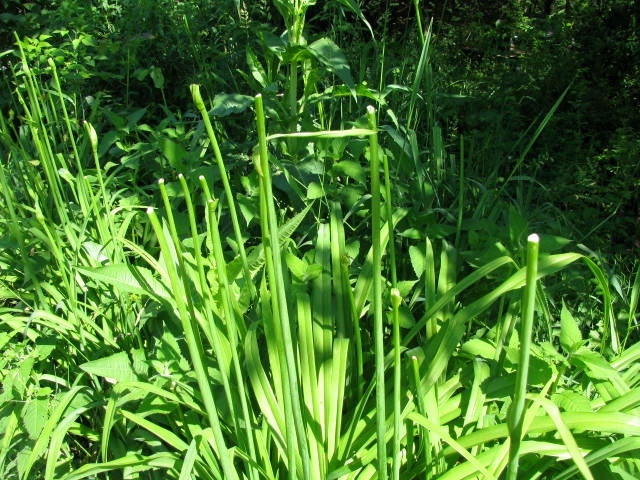 I discovered that the deer had eaten the buds off of the Tiger Lilies. No Tiger Lily blossom sauté this year. We left the woods and drove to a small city to attend a delightful engagement party. While helping to amuse some of the younger party attendees, my son pondered the meaning of life while “smoking” his bubble pipe. 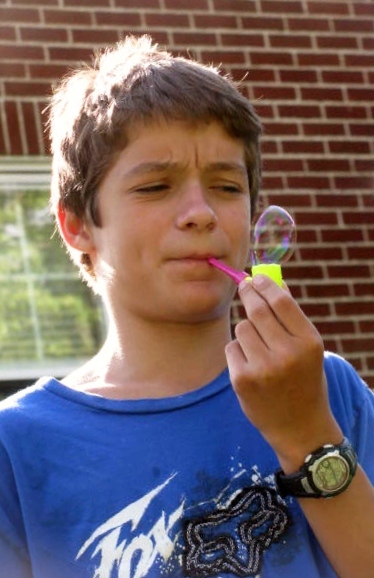 He quit pondering when he forgot what he was doing and inhaled the bubble soap. Yuck! 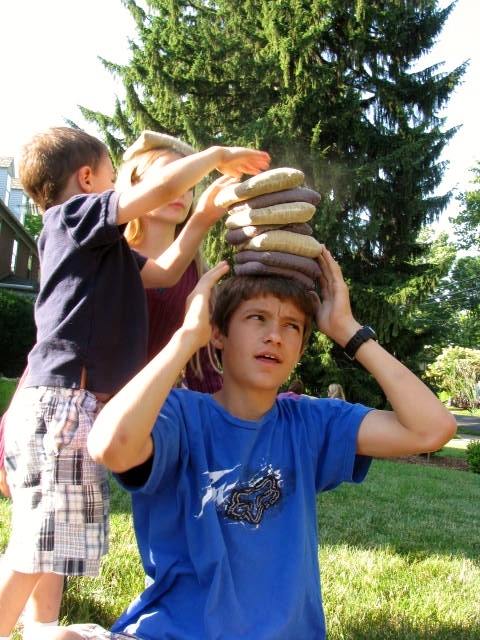 Then there was a game of slap-a-stack-of-beanbags on his head. Not sure how much fun it was for my son, (I’m sure his vertebrae are all compacted tightly together now), but the little kids had so much fun they couldn’t stop giggling. After consuming too much delicious food, some of us took a walk. My daughter liked walking here in the outskirts of the city because there were fancy cars, and sidewalks, and manicured lawns, and sidewalks, and hedges, and sidewalks. 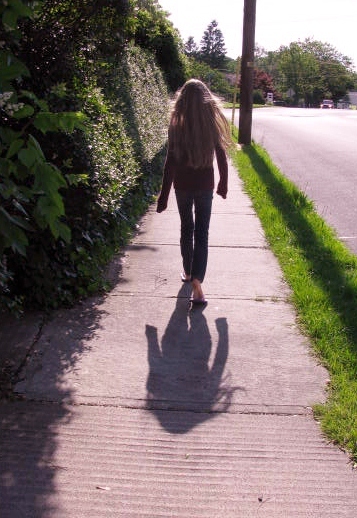 She really liked the sidewalks. 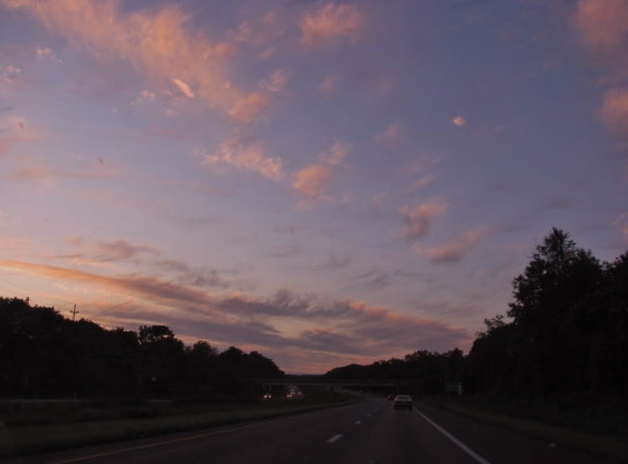 We left the city as the sun was going down, homeward bound. And that was “Today” in my French Twisted World. Aujourd’hui. 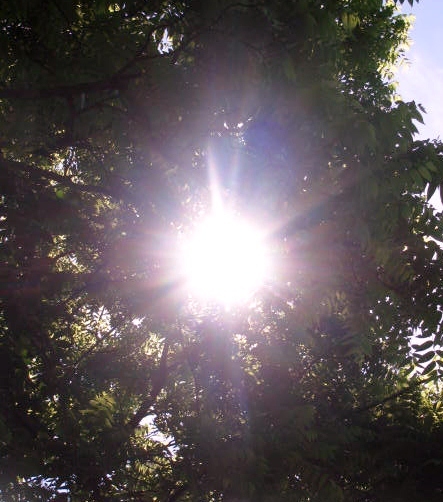 Thanks for sharing your day … with me – rain and sunshine .. can’t be without either. C’est vrai! The flowers need the rain. Thank you. Merci! Yes, thank you. It was a nice day. Merci! Yes, a very good sport. A good time was had by all. Merci! Great photos! I really, really like the first one!